The ecommerce sector is changing the retail landscape in India. This means it is looked upon by many as a monster which will ultimately end up demolishing the brick and mortar retail industry. Yet while the big retailers are crying wolf and pleading with the government to shackle this sector, their fears seem to be quite baseless because the present ecommerce market of $4 billion seems to be dwarfed by the retail sales of $600 billion. But leaving aside the bickering, the question which begs an answer is whether ecommerce is good for the Indian economy. Here are five good reasons in favor of ecommerce. 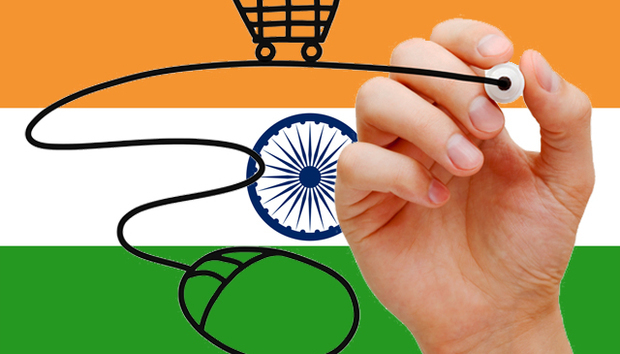 In a way, ecommerce has brought the Indian technological sector out of the shadows. Driven by the need to provide better and quicker services, ecommerce companies are compelled to innovate. Flipkart is on a drive to hire youngsters working in such diverse fields as user interface, payment gateways, big data and mobile technology. Slash N, a technology event hosted by Flipkart was a watershed moment for Indian technology, where more than 500 engineers met to share their experience. The ecommerce industry has brought about a new wave of innovations in unheard of areas. Packaging, which was considered to be a drab vocation, has lately become a vibrant and exciting place to be. Flipkart has plans to introduce packaging innovations which will focus on converting packing material into usable products once customers receive them. The sudden demand for packaging professionals is also encouraging many students to take up the profession. There is a marked change in delivery systems due to the ecommerce industry. A laissez-faire attitude is no longer acceptable. Now a number of slick technologies are involved in tracking packages from the merchant premises to the warehouse right up to the door of buyer, leading to faster delivery and minimal thefts. As ecommerce undoubtedly depends on cutting edge technology, it in turn requires a quality workforce. There is a strong demand for web developers, software coders, analytics experts, content writers, graphic designers and digital marketers among other specialized tech areas. On the business side, there is a massive requirement for product and UI interface designers, marketing, ERP & SCM professionals and customer facing staff. All of this adds up to a humungous demand for over 150,000 professionals in the coming years. Many scoff that creating fifty thousand deliverymen is not generating employment. The ideal job for an Indian is to work as a coder, after completing a decent course in engineering. As a result, India has become a third world factory, manufacturing coders who work away in their bright big offices for their bosses sitting in the developed world. This means ecommerce ventures are not their heroes. But the truth is that many young boys without an engineering degree have found a way to earn a decent income as deliverymen. According to a Forbes article, Flipkart delivers five million shipments every month. The arithmetic is simple; ecommerce generates employment. The bane of the Indian market is the supply chain or the absence of it. In a study conducted by the Indian Planning Commission, the expenditure to deliver one rupee of food to the people through the public distribution system was Rupees 2.65. This means that neither the producer nor consumer benefits, while the middlemen bite into the margins. By doing away with the middlemen, ecommerce has changed this equation in favor of merchants and consumers. Of course, ecommerce transactions are transparent and use smart technology to create sales channels which reduce the cost of inventory, distribution and delivery. A case in point is the exclusive partnership between Xiaomi of China and Flipkart. By short-circuiting the distributing network, they have been able to sell mobiles at rates much lower than that of competitors. Traditionally, in India, manufacturers and merchants have been treated as untouchables by the big marketing firms. Squeezing margins from small-time product developers is the norm. Yet by introducing technology and transparent processes, ecommerce players have created a more vibrant and healthy sales networks which helps merchants greatly. Small time businessmen with niche products can now reach out to a large audience without a big advertising budget. International players have brought global business strategies which are both open and inclusive. Amit Agarwal, Country Head & VP, Amazon India proudly claims that they have empowered local businesses by exposing them to their proven systems and processes. “We have dedicated teams focused on SMBs that work on the ground and educate sellers on opportunities to sell online and expand their reach nationally,” Amit said. The sluggish real estate market in India has perked up due to the ecommerce industry. There is a hunt for good office space, warehouses and transit locations. In October 2014, Flipkart announced a deal with realty firm Embassy Group to lease three million square feet office space in Bangalore at an annual rent of $50 million. This month, Amazon is said to have floated an RFP to add 250,000 square feet of office space. Incidentally, Amazon already has 300,000 square feet office in Bengaluru and wants to add an additional one million square feet by 2018. Meanwhile, Hyderabad, another technology hub, is vying to attract big ticket enterprises to invest in the city. There can be no doubt that the ecommerce boom in India will bring technological innovations in its wake. As the industry grows, it will require better technology and more creative and innovative thinkers. Most of the ecommerce ventures are flush with funds and investment in technology is one of their primary goals. Fierce competition, cut throat pricing and the desire for more market share will drive ecommerce ventures to focus on technology. The Indian economy will be the ultimate beneficiary of their munificence.